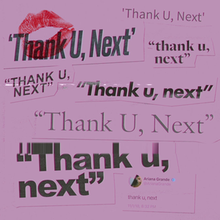 On 3rd November 2018, Ariana Grande announced her fifth album called "thank u, next", which is expected to drop later in 2018. The lead single and title track came out on the same day as the announcement. So random :-? I thought we will get at least a normal music video of “Breathing”. Because she going through some stuff and this is how she works through it. Sweetener probably reminds her too much of Pete. Can someone give us legit credit? ^ wait - 8 million? She'd be #1 on the worldwide daily chart easily with these numbers! That would be amazing! Obviously, i would've prefered NTLTC or GIAW to be #1 in the UK but she deserves a #1 hit there so i'm glad if she's getting it with "thank u, next". Does someone know what the biggest opening for a female artist is? We all have--well some of us have exes...so we can relate. This doesn't count as female opening LOL. Ed is a streaming monster not some random dude we can discount as not adding much to total number.